Molecular Maya’s (mMaya) Modeling kit facilitates many of the challenges in the modeling of high-quality full-length protein models. Incomplete structural data often require us to create structural fragments based on primary sequence and then pose and connect these peptide fragments to existing structures. This course will provide an introduction to the Modeling kit’s basic functionalities to address these common tasks. 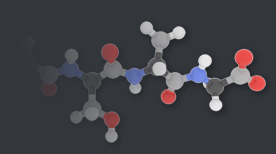 We’ll begin by synthesizing dynamic modeling peptides, applying secondary structure folds, creating poses, connecting with other structures and exporting custom PDBs. Because all newly synthesized peptides in the kit are pre-rigged, we’ll learn how to control their dynamics with various tools like handles, elastic networks and colliders. Finally we will also look at the kit’s built-in Domain Library which offers a convenient collection of 3D domain models ready-to-go for various modeling tasks. We will end with various ‘PDB surgery’ operations like extracting, splitting and merging PDB fragments. This course will let you to take full advantage of mMaya’s Modeling kit and reveal its unique advantages in production.